Visiting Tokyo Disneyland is a fun way to spend a day (or two), it is after all “The happiest place on earth”. 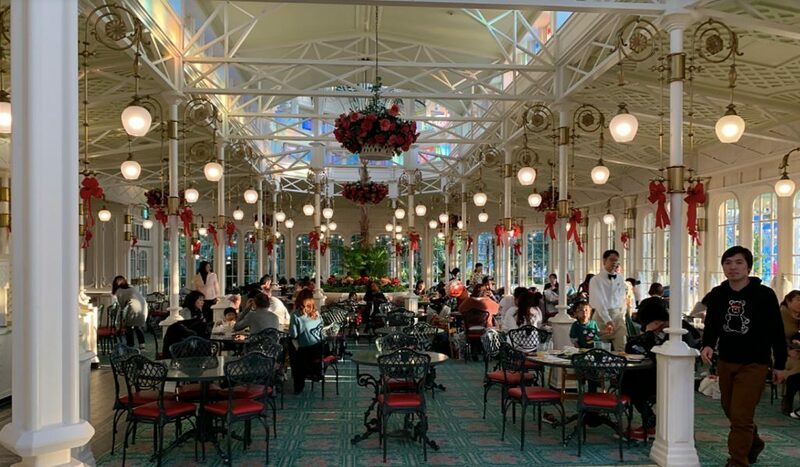 Easily accessible and only half an hour away from central Tokyo (from Tokyo Station), Tokyo Disneyland can get crowded, especially during the weekend or any national holiday. During crowded days, it’s not uncommon to spend 2 hours in line waiting to go on a ride or even to buy something to eat. In order to make the most out of your day, we’ve come up with a few tips to make your day at Tokyo Disneyland much more enjoyable! Tokyo Disneyland can be reached easily from Tokyo Station in central Tokyo. From Tokyo Station, take the JR Keiyo Line (red) or Musashino Line (orange) to Maihama Station which costs 220 yen. Once you get to Maihama Station, walk to the Resort Gateway Station and from there take special Disney Resort Line (costs 260 yen per ride). The Disney Resort Line is a loop line that connects Tokyo Disneyland, Tokyo DisneySea and the hotels. 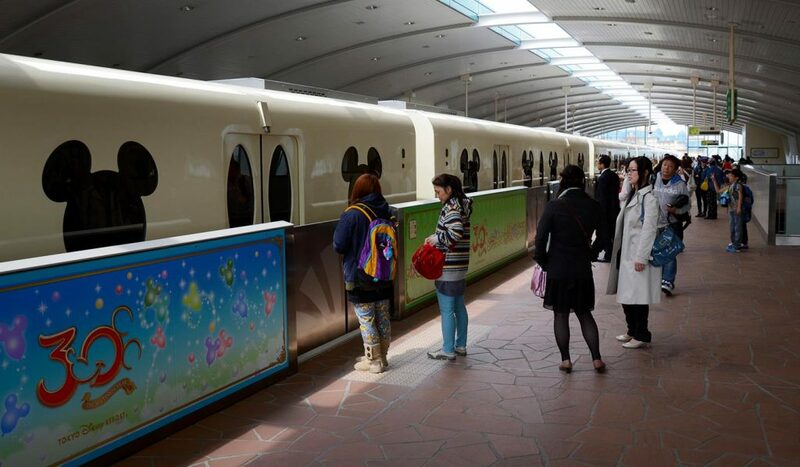 From the Resort Gateway Station, it takes only a few minutes to reach Tokyo Disneyland, which is the first stop. 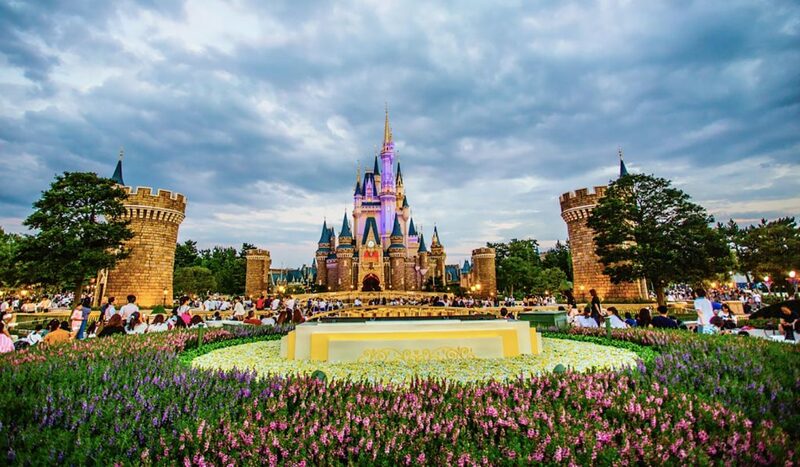 You can get to Tokyo Disneyland using JR Pass, click here to learn more. 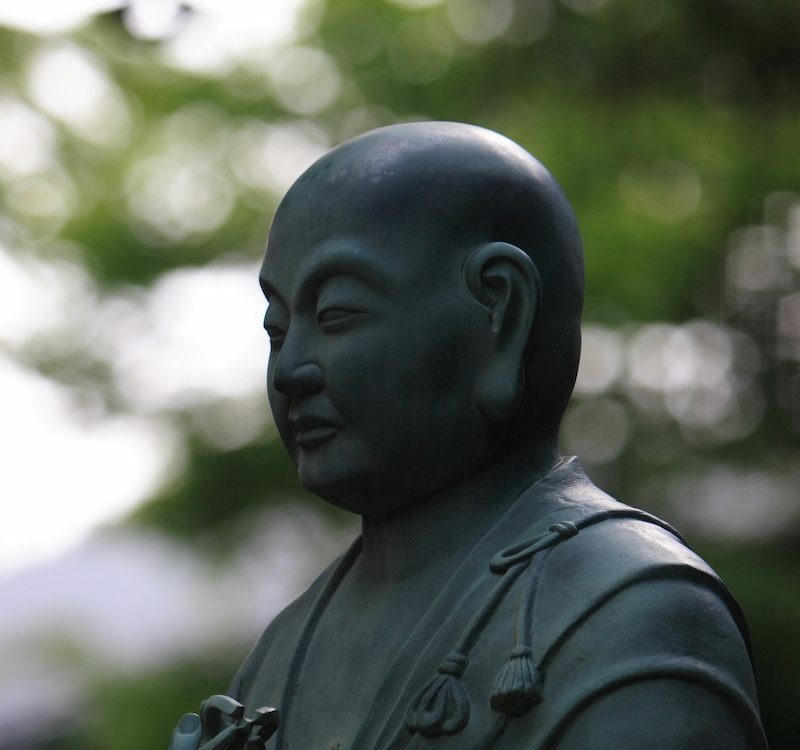 There are several types of tickets as well as ways to buy them. The following are the most common types of tickets. You can buy Disneyland tickets here. The most standard ticket, this ticket allows entrance to either Tokyo Disneyland or Tokyo DisneySea for 1 day. Once you use this ticket to enter a park, you can’t enter the other park. Allows entrance to Tokyo Disneyland and Tokyo DisneySea for one day each. Note that this ticket is not valid for admission to both parks on the same day. If you want to visit the park when it’s less crowded, you might want to consider the After 6 Passport ticket. This ticket allows you entrance to either Tokyo Disneyland or Tokyo DisneySea from 6 pm on weekdays designated as After 6 Passport days. This way you can enjoy the park at a later hour for a reduced price. 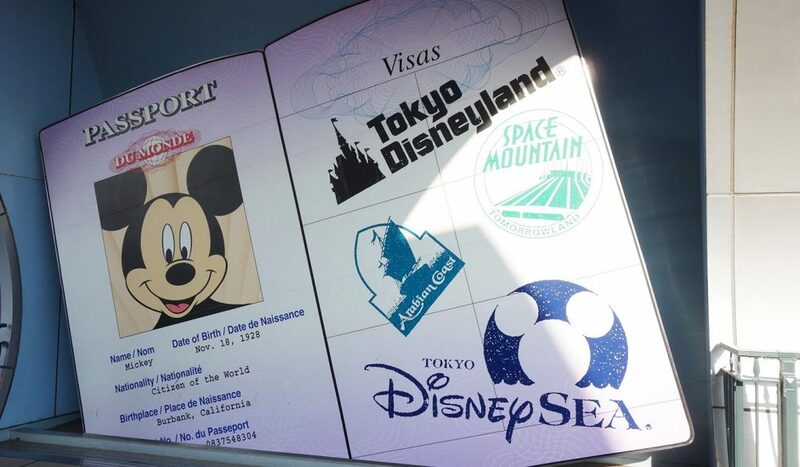 With the Starlight Passport you can enter either Tokyo Disneyland or Tokyo DisneySea on the weekends from 3 pm or Japanese national holidays designated as Starlight Passport days, perfect for anybody who only has half a day to spend. You can choose to buy tickets on the day at the park, but we recommend buying your tickets online in advance. During high season or crowded days, tickets can be limited and if you arrive late to the park, tickets for the day might be sold out. Buying your tickets online have several benefits. If you purchase your tickets through the official Disney Resort website, you are also allowed to make any changes for free. There are open date tickets and date specific tickets. Open date tickets can be used on any day (valid for one year) while date specific tickets can only be used on the day that’s printed on the ticket. 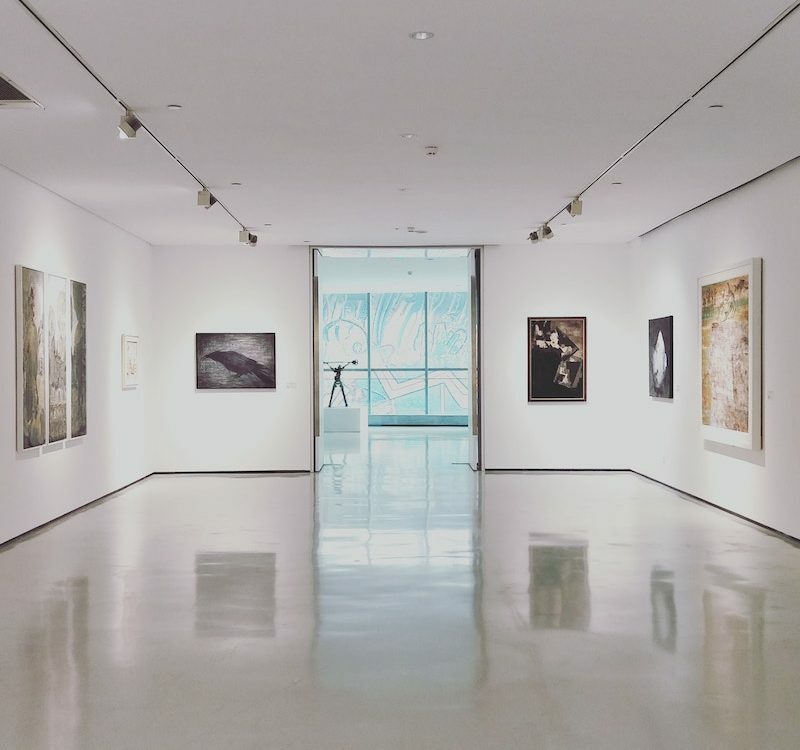 However, date specific tickets can be changed for free (provided you’ve booked online through the official website) and are valid for three months. Also, date specific tickets enjoy privilege over open date tickets on crowded days and will guarantee you entrance. Disney often has discount campaigns for example during the hot summer and student discounts if you book through the official website. Also, look out for Disneyland campaigns at convenience stores like 7/11, Family Mart or Lawson, they often offer park ticket discounts. Discounted tickets (but also regular tickets) can be bought directly at the convenience store. 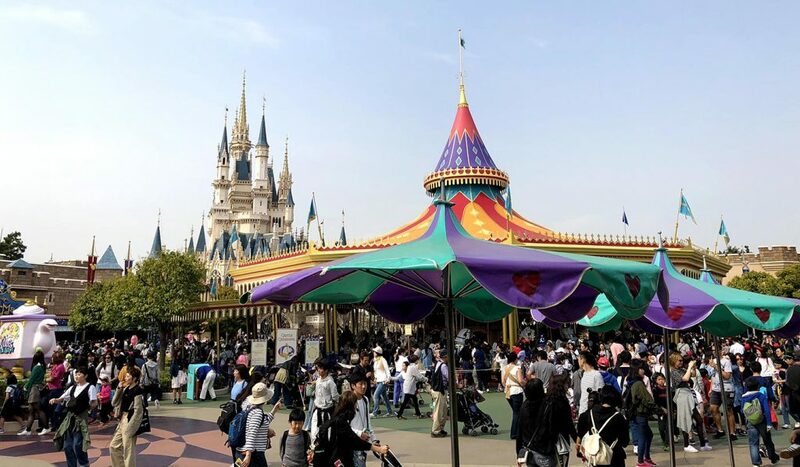 Although Tokyo Disneyland can be enjoyed on any given day, if you go on certain days, you might have a much more fun experience simply because it is less crowded. 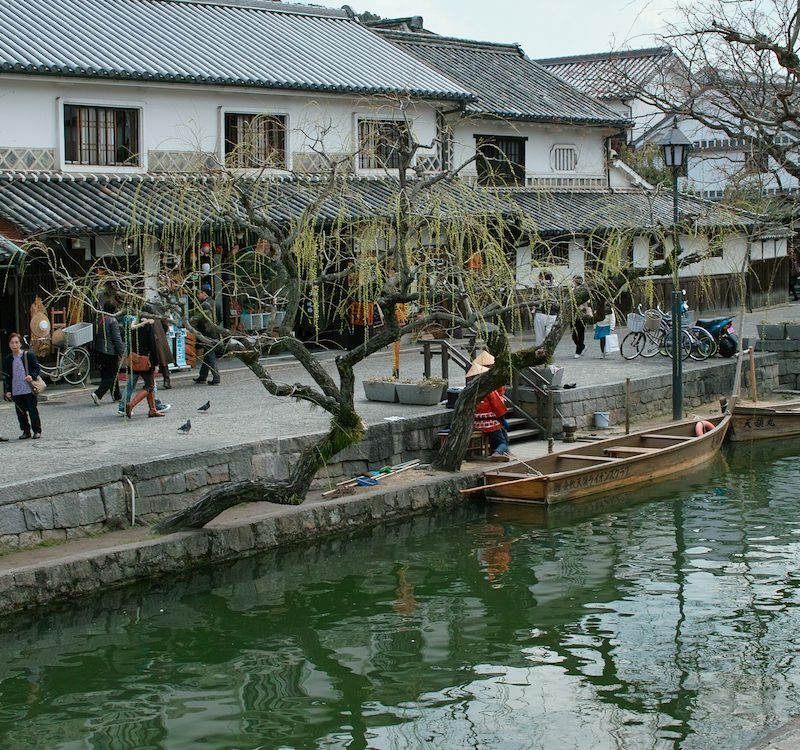 If possible, avoid days like public holidays, Golden Week, Christmas Eve, New Year’s Eve and weekends (especially on sunny days) when the park gets so crowded that you even have to wait an hour to buy popcorn. Instead opt for a weekday, the park is less crowded, which means shorter lines, allowing you to get on more rides. Needless to say, the park is also less crowded on rainy days although you can still have fun! A Fast Pass system was introduced to allow people to get on rides faster by queuing up on the shorter Fast Pass line. The Fast Pass can be obtained from a Fast Pass ticket machine completely for free and anyone holding a park ticket can get a Fast Pass ticket. However, there is a system in place preventing you from hitting all the ticket machines and collecting your Fast Passes all at once. There is a cooldown time when you get a Fast Pass, usually between 1-2 hours, before you can get your next Fast Pass. 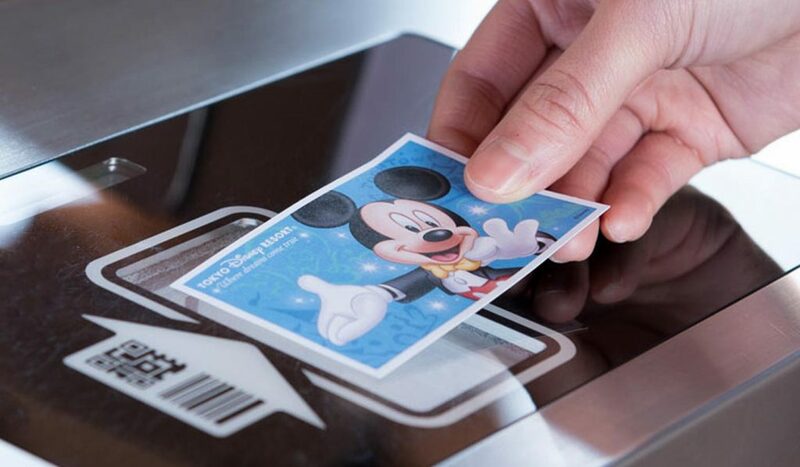 To get a Fast Pass, go to a Fast Pass machine, usually near the entrance of an attraction, and scan the QR code on your park ticket. 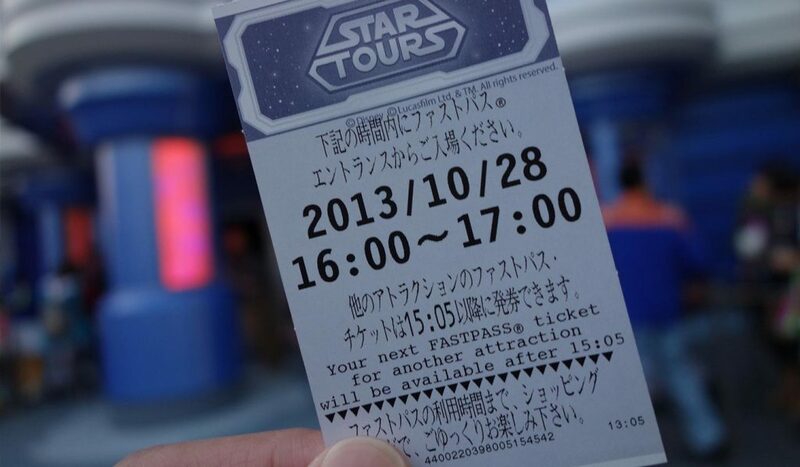 A Fast Pass ticket will be printed out with some time information. It is important to look and remember the time printed on your Fast Pass. The time printed in large is the time you can use your Fast Pass to go on the ride. It indicates between what and what time you have to be at the attraction to use the Fast Pass. There is another time below that printed in small, this is your cool down time and you are able to obtain your next Fast Pass after this time. 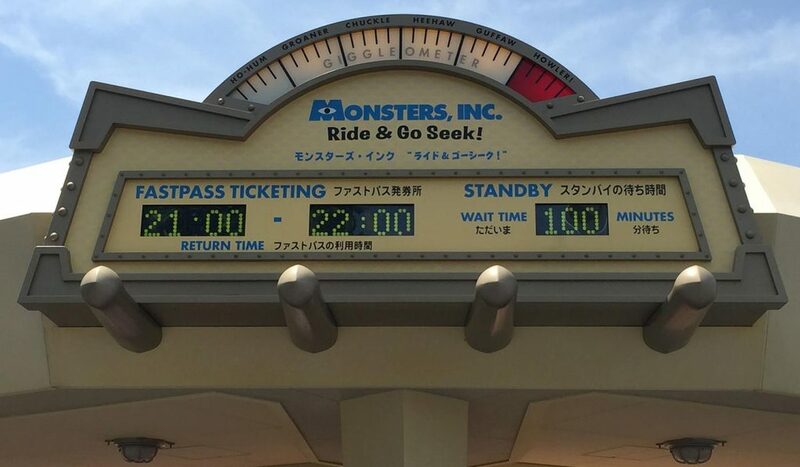 There is a limit on how many Fast Passes are distributed for each ride and Fast Passes for the most popular rides often become unavailable before the afternoon. The best strategy is to arrive at the park early and hit the Fast Pass machines of the popular rides first. If you plan it right, you might be able to obtain multiple Fast Passes. Tip: You can see on the map where all the Fast Pass ticket machines are located. There are also smartphone applications which you can download with live data on the ticket machines and their locations. Which ride to do first? Tip: At night, when it’s nearing closing time, even the most popular rides will have shorter lines or sometimes even none at all allowing you to get on rides you either missed or skipped before. Tip: Some attractions have a Single Rider line, which is as its name suggest, for single people only. This line is usually much less crowded and will get you on the ride faster. Even if you are with more, queuing up in this line let’s you bypass everyone and can in many cases cut your waiting time from 100 to a mere 10 minutes. The only downside is you have to ride separately. The shows at Tokyo Disneyland are very popular and to give everybody a chance to see the shows, they’ve introduced a lottery system to get free tickets. Left of Space Mountain in Tomorrowland, you’ll find a building called Tomorrow Hall, inside you’ll find the lottery ticket machines. Anybody can enter the lottery and here is how it works. The lottery starts and the ticket machine will let you know if you have won or not. A special sound will play if you won and your tickets will be printed out with the show time and your assigned seat. It is important to scan all the passports in your party when you enter the lottery or you won’t be seated together if you win. Also, you can only enter the lottery once per day, once per show. This restaurant is located in Adventureland and is the only buffet-style restaurant in the park. Reservations are needed, and same day reservations can be made starting at reservations starting at 10 am or in advance online. This large restaurant has a bright and well-lit interior and the design is Victorian. The buffet area located in the middle of the restaurant, offers meat, seafood and vegetable dishes and there is a salad section. There are also many desserts to choose from and many items are shaped like Disney characters. There is also a drink bar offering soft drinks and hot beverages like tea and coffee. 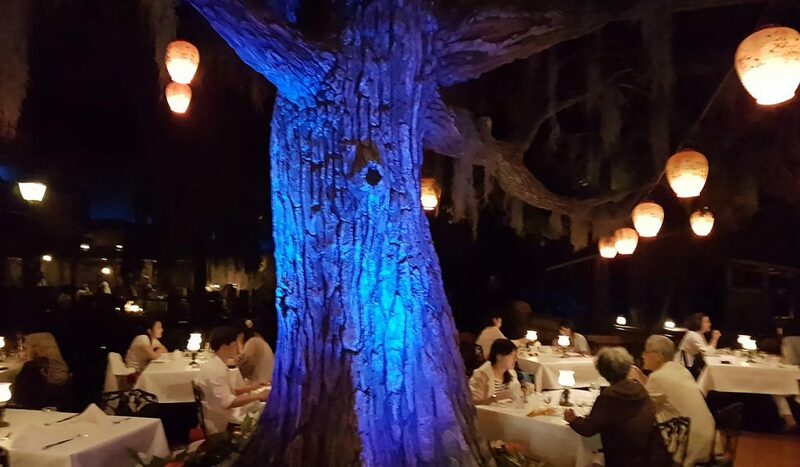 Overlooking the waterfront of the attraction Pirates of the Caribbean, Blue Bayou is full of ambiance. Located inside the Pirates of the Caribbean, visitors can see the boats of the attraction floating by while dining under the night sky. The entrance to the restaurant is next to the entrance of the attraction. The food is of excellent quality and served as a course. 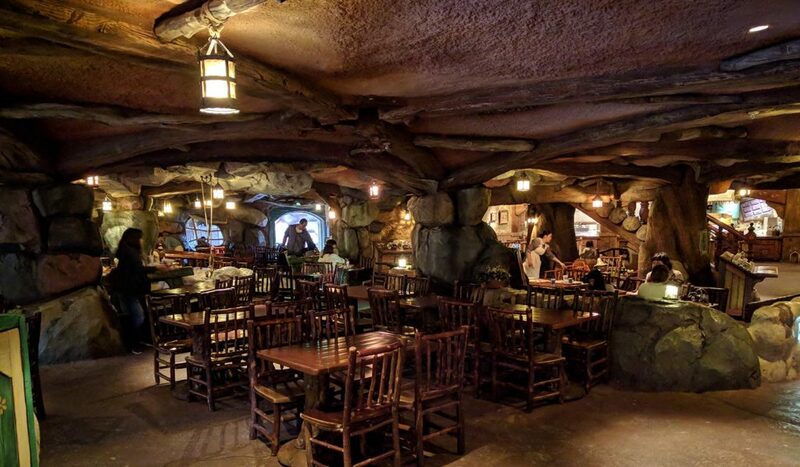 Located near the entrance of Splash Mountain in Critter Country, you’ll find Grandma Sara’s Kitchen. This cozy lit restaurant looking like an old charming inn with pots and pans and kitsch decorations on the walls is inviting and serves hearty ‘homemade’ meals. Stews, Chicken and rice, Salisbury Steak with steamed vegetables, let Grandma Sara take care of you and fill your belly with a warm cozy meal. 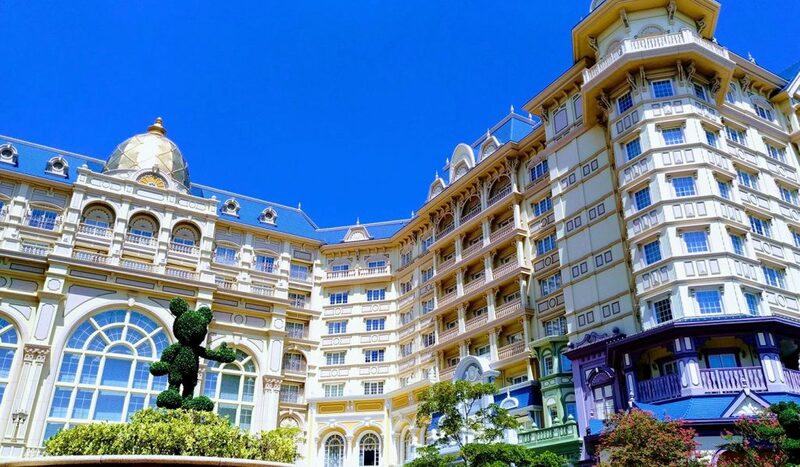 As far as Disneyland hotels, I can’t get any better than the Tokyo Disneyland Hotel. 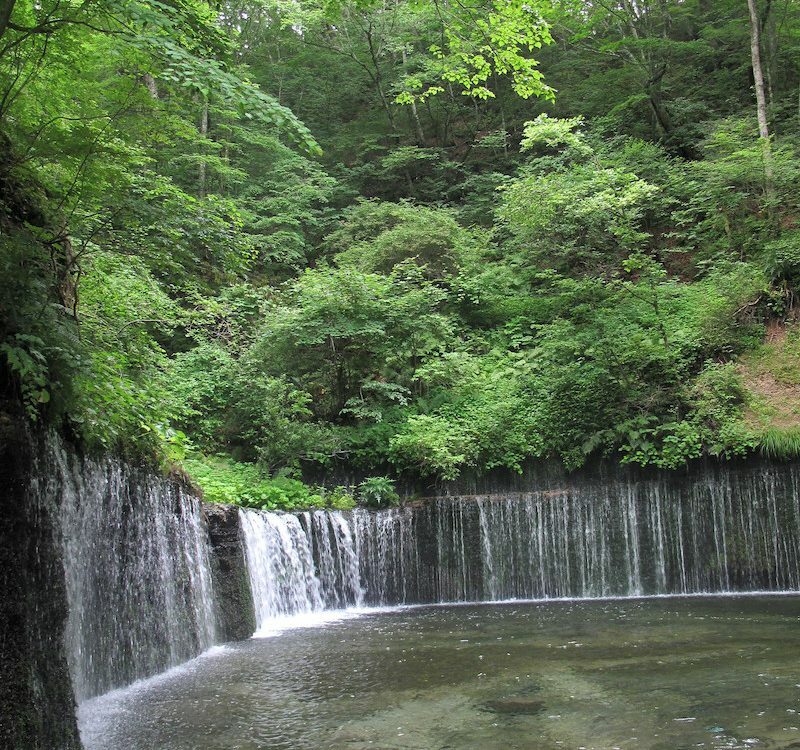 Located just a short walk to the entrance of the park, this hotel is grand and lavish. The areas just outside the impressive exterior of the hotel are filled with small Disney details waiting to be discovered. As soon as you step into the grand entrance, you’re welcomed by an impressive chandelier as well as a fountain in the middle of the large hall. The rooms are decorated in a Victorian style and are very spacious. Staying at the hotel also allows you to get perks like entering the park 15 minutes earlier before anyone else! 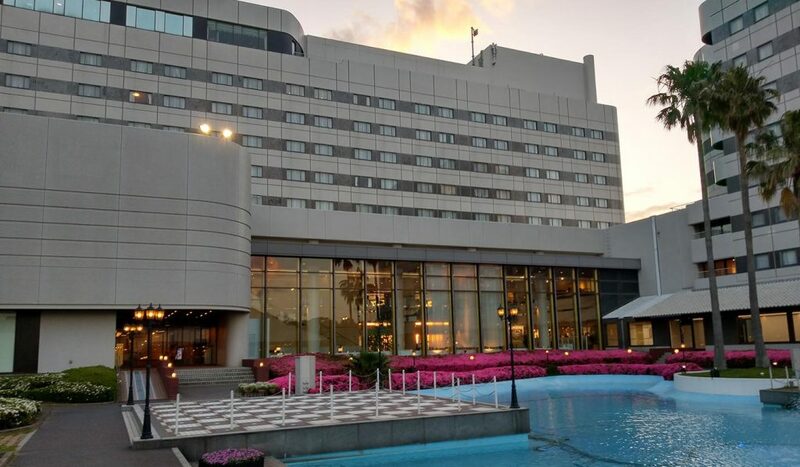 One of the official Tokyo Disney Resort hotels, the Tokyo Hilton Bay overlooks the ocean and is conveniently connected to the park by either shuttle bus or the Disney Monorail line. 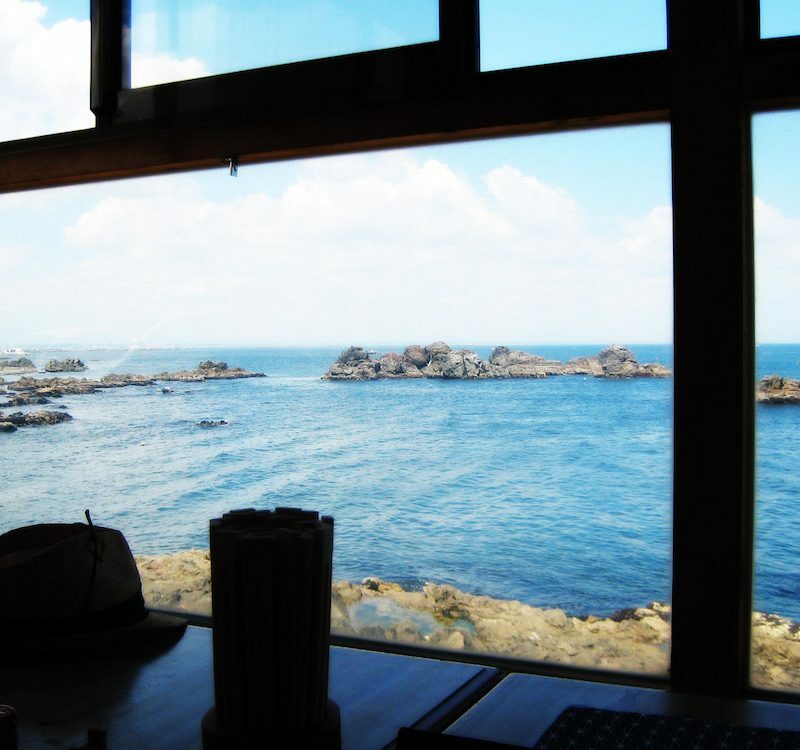 The hotel rooms are bright, modern and very spacious. Rooms are divided into different categories each with a different theme. 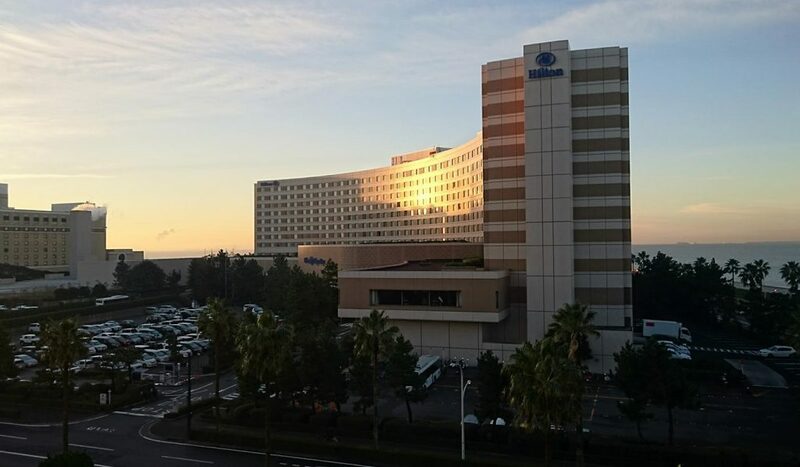 Apart from the Tokyo Disneyland Hotel, Tokyo Hilton Bay would be the next best place to stay at, and it’s much more affordable. Within walking distance of Tokyo Disneyland, many rooms have an excellent view of the Cinderella Castle and Mount Prometheus (at DisneySea). Rooms at the Sunroute Plaza are smaller than your typical hotel room size but all of the rooms have a theme and are designed beautiful and fun way. There is a pool and 3 different restaurants to choose from and the hotel comes with many amenities. 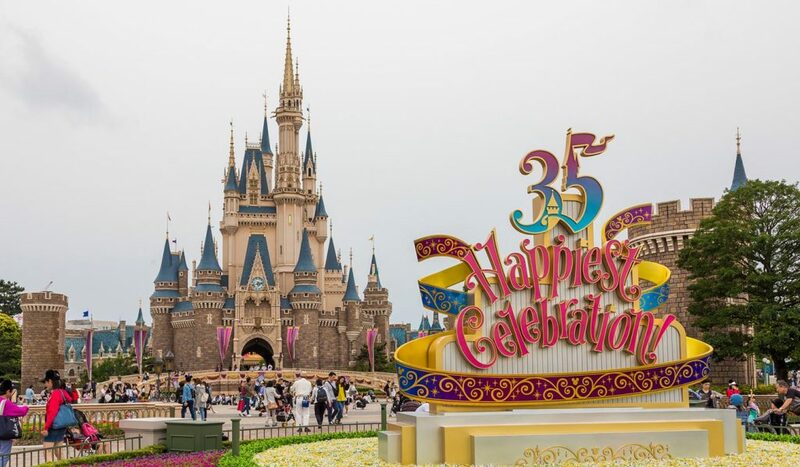 Each night, the park will end the night with a nighttime spectacular and to commemorate the 35th year of Tokyo Disneyland, a new show called Celebrate! 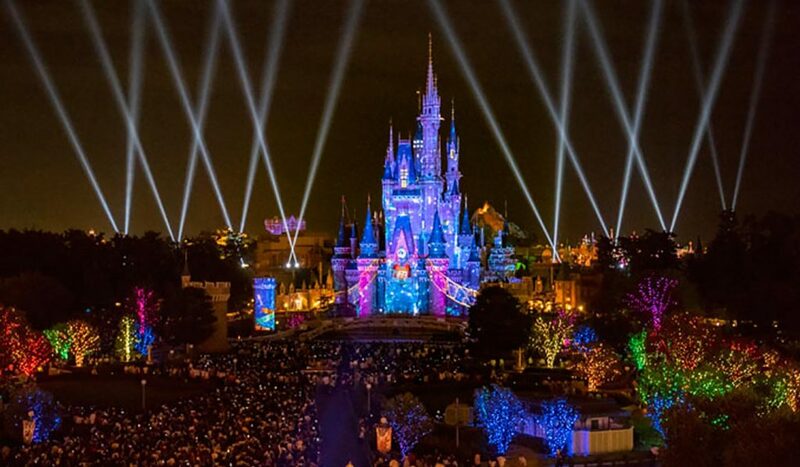 Tokyo Disneyland will be shown at the Cinderella Castle in the middle of the park. Projections, color fountains, lasers and fireworks will move in coordination with music to create a magical show like you’ve never witnessed. 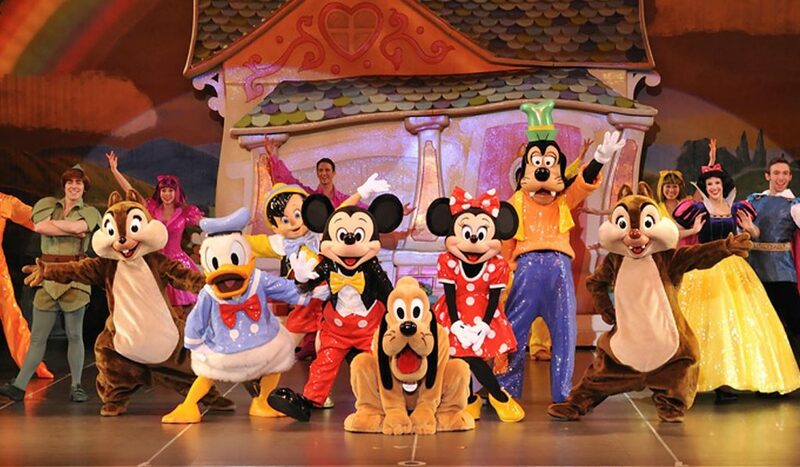 Although there is no official seating place, the best place to see the show is right in front of the castle square. To get a good spot, arrive early to secure your spot. It’s not uncommon to see people grabbing the best spots 2 hours or more before the show starts. While going to Tokyo Disneyland should be a fun experience for many people, spending most of your day waiting in line or missing a show can really lower the mood. We hope by sharing these tips with you, you can get more out of your day and enjoy a memorable day at Tokyo Disneyland! 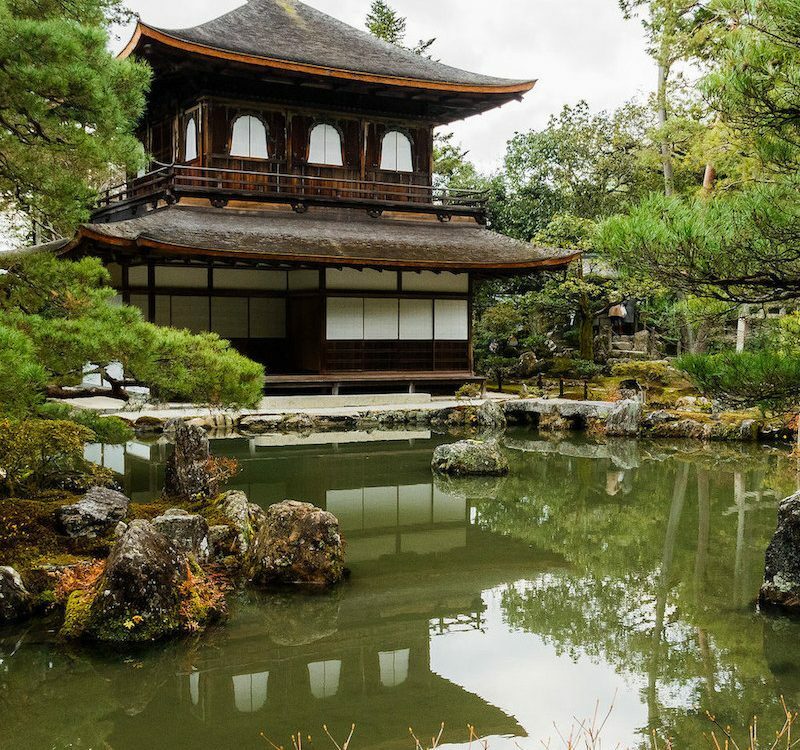 For more tips about Japan, take a look at our Life in Japan articles. Also, join our Facebook group and follow us on Facebook, Instagram, Twitter, Pinterest.